It’s finally ready! I’ve been working on this project for weeks and it is finally finished and ready for you to dive in! This blanket measures approximately 64 x 74 and is so fun to make! 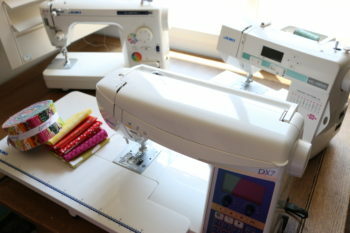 1 plastic or metal yarn needles for weaving ends. Sign up here to receive the PDF downloadable instructions! Instructions – Want the PDF? Click HERE. Use 3 skeins of each color, I used the Bernat Blanket yarn but you can substitute with any other chunky yarn that is comparable! Each large skein of the Bernat yarn is 258 yards, so you will need the equivalent of another size 6 yarn. dc (double crochet) in the 3rd chain from the hook. At the end of the row, you need an extra dc stitch. So you will have 8 plus 1 extra. chain 2 and turn your work. dc in the first stitch and repeat. Continue until you run out of yarn and cannot complete another section. Fasten off and weave in the ends with the yarn needle. Hey! I was wondering if you could make this for a baby blanket? I made this blanket for my sisters baby and it turned out pretty good. The only think I wasn’t perfectly pleased with was the chevron part that curved down (not the one where you dc 3x) ended up being very “loopy”. Any ideas what I could change / fix to keep this from happening as badly? Have you washed your blanket? Did the black bleed? I finally found this but is there a way to print it…. Love this project! 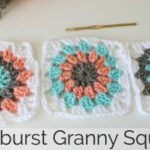 I want to alter for a baby blanket with the same yarn, but I don’t know what the correct number would be to chain to get started. Please advise! the description in the video says for a smaller blanket chain 77! I’m excited to try this blanket, thank you so much for all of your tutorials! I signed up to receive the free written pattern, but have not yet received it. Any other way i can get the pattern? I have already purchased my yarn 🙁 Thanks! 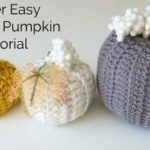 If you go to her website you can find the written pattern. 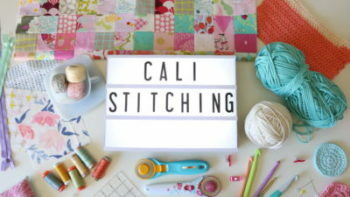 Thank you Melanie for making such a great how to video on the chevron stitch! I am making my second blanket and find it very easy to follow once I get past the second row. It looks like you can eidt the pattern width by using multiplies of 19 stitches. My first blanket lays on a full size bed nicely. thank you so much! I feel so bad that a lot of your questions don’t get answered. I had so much trouble with this blanket, so I just gave up. Thanks for this tutorial. Just one question. 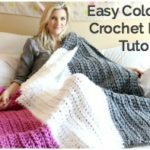 If you want to make the blanket bigger what multiples are you using? How do you adjust for size? I’ve been wondering the same thing and I have worked it out to be multiples of 19 + 1, hope you can make a start now? Ella uso la aguja “P” cual es equivalente a una de 10mm. I just love your work and I’m a huge fan! 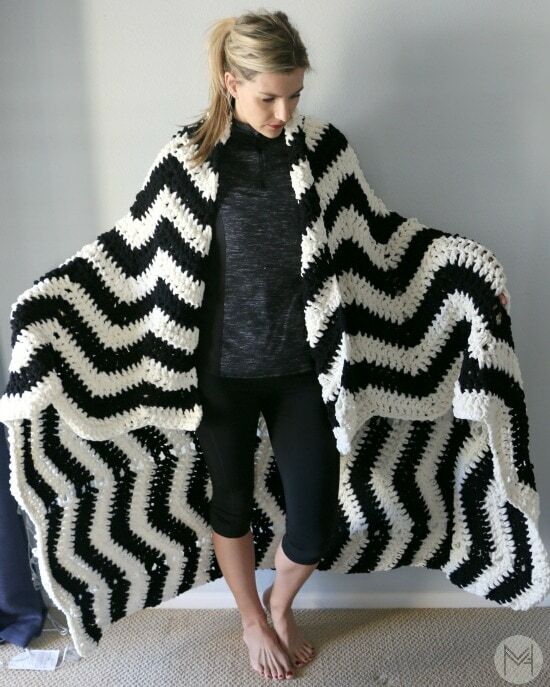 I can’t wait to start this project but I’m wondering what multiples this is made in so I can adjust the size if needed? Hi Melanie! I stumbled across your YouTube page while looking for basic crochet tutorials and I literally started teaching myself with your help on Tuesday and after much practice and mistakes along the way, I’ve finally made a dishcloth for my mom and it turned out beautifully! Your written directions said to dc from 3rd chain from hook but your tutorial said to dc 2nd chain from hook. I believe the tutorial is correct because I went by your written directions I didn’t have my 8th chain at the end. Please let me know. Thank you for all you do. I love your tutorials and I am very grateful for you! Love you and your tutorials! I have made blankets since watching your first video in march! So excited now to make this one! Thanks so much! Thank you so much for making this tutorial!! 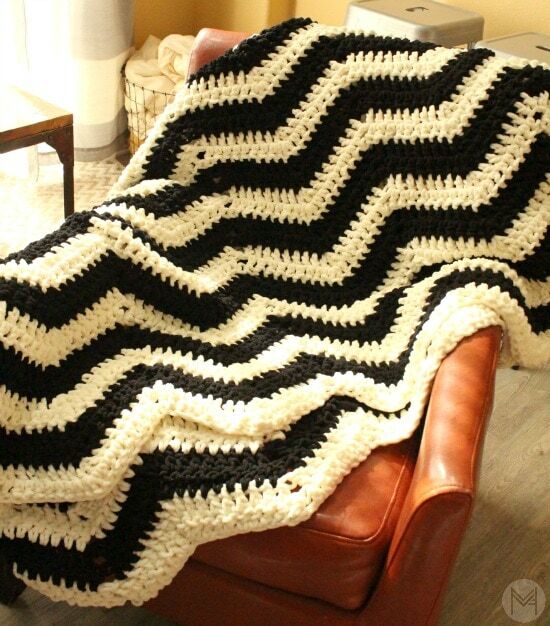 I plan on making this blanket after Christmas, I have too many request for baby booties and hats to fit it in now;) The links to the yarn on YouTube are great, thank you!!! You give wonderful directions! 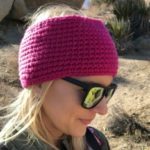 Thanks so much for helping crochet to be fun and easy! Thank you so much for this particular tutorial. 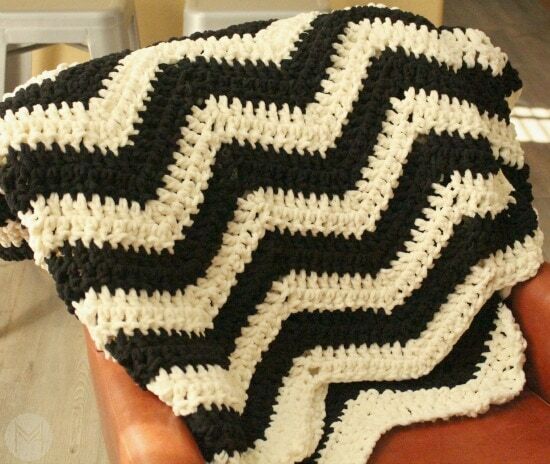 I have been wanting to make chevron/ripple blankets for awhile using the Bernat Blanket yarn. Thanks again. As for finding different colors of this yarn, one needs to search many web sites. Such as JoAnn’scom, Michaels, Herchener’s, Yarnations, etc. Even the different craft stores such as JoAnns & Michaels. Each locations carry a variety of colors. Example, I live in Florida, but while visiting PA I found different colors than the ones in FL. I actually found black at JoAnn’s in York PA. I wish the manufactures would carry all the colors in one spot on the we. I can not wait to make this blanket. I am a beginner and I have made three baby blankets and matching hats. Mel your tutorials are great and I think you are awesome. 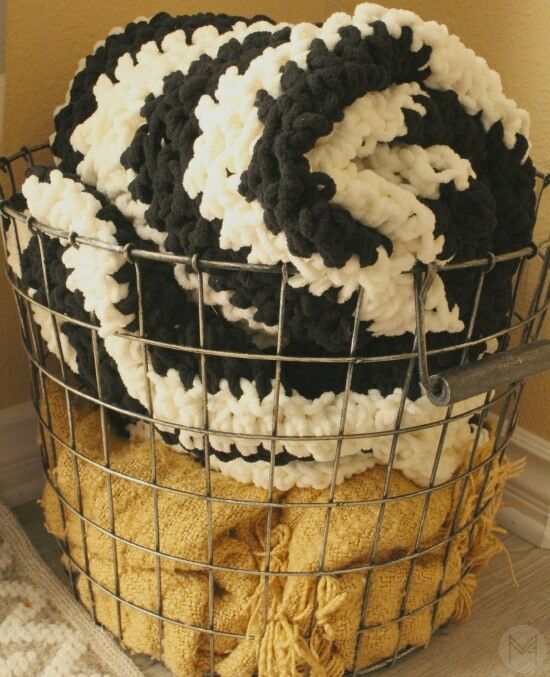 I can never find the Bernat Blanket yarn, I don’t think I have ever seen black. I can find the yarn, but not a variety of colors, it’s a baby colors. Where can you find more colors. Website to use? Bernat Baby Blanket yarn and Bernat Blanket yarn. Hello, love your tutorials. I have a question. If I want to make this smaller say 39 by 52 how would I make the foundation chain smaller? Would I have to work in multiples of 8? Thank you.